She continues "contests over the body politic and its spaces were contests between classes". 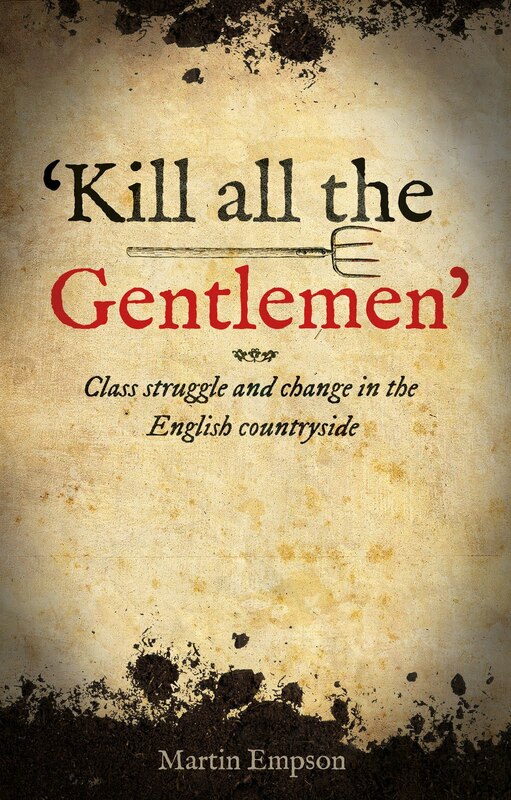 Much of the book looks at particular struggles and how their participants and leaders attempted to develop and build their movements within contested arenas. This might mean the struggle for the right to meet, or protest - and here there are many echoes with contemporary times where the increasing privatisation of public spaces can limit places where activists can demonstrate. Thus the struggle for the right to protest in a park or square might also take the form of legal challenges, or mass protests designed to win the right for the future. But they also meant struggles over how spaces were seen by communities (and the authorities) how they were used and how they were defended from encroachment by hostile interests. Thus the struggle for space is more than a question of future rights, it can also encompass tradition and custom. Navickas writes that "Custom established what rights were attached to inhabitants of a locality... and thereby defined the particular culture of that locality" and notes EP Thompson's "emphasis on custom as an interface that set patrician against plebeian". Her discussion of struggles against enclosure, or common rights are just two of such examples. But Navickas goes on to note that this struggle in the period she covers, takes place in the context of "global processes of free trade political economy, trading and manufacturing practices" which means that "mass collective action" emerges. 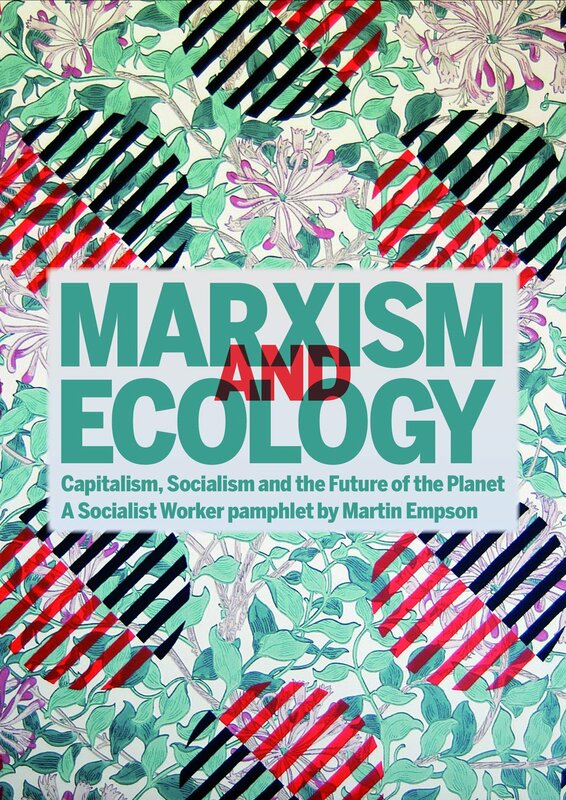 To put it slightly cruder, the development of a global capitalist system required the entrenchment of particular capitalist values within in society, but these in turn created mass movements that resisted those changes, or attempted to shape things in their own interest. In her studies of these processes Navickas has uncovered and highlighted some fascinating aspects of radical history. She discusses, for instance, the use of pubs and taverns as places for radicals to meet, and how the authorities would try and restrict this. She examines the way that particular spaces (such as St. Ann's Square in Manchester) become symbolic of particular struggles, in this case the "royalists" movements as opposed to the radicals. And she also looks at how particular events engender some spaces with highly symbolic meaning. Her classic example of this is the way St. Peters Square becomes a place that every radical movement wants to associate itself with in the years following the Peterloo Massacre. 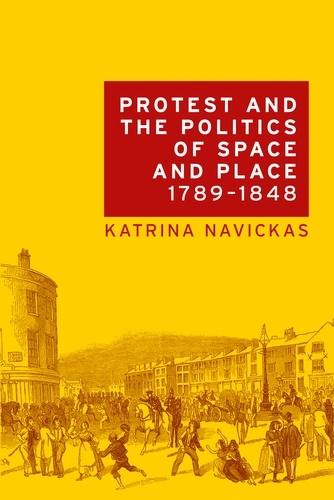 Readers who are based in Manchester will find much of this particularly interesting because Navickas focuses her study on northern cities and some of the detailed studies are of historic radical movements in this city. I was particularly struck by two maps that give a real sense of the intersection between different movements and time periods. One of these is a map of routes taken by radical and "loyal and patriotic" protest marches and parades around Manchester. This shows how the radicals deliberately copied the patriots in their roots in an attempt to gain legitimacy by association as well as taking their spaces. The second is a map of Ancoats which juxtaposes the homes of individuals who signed radical petitions with known meeting places. 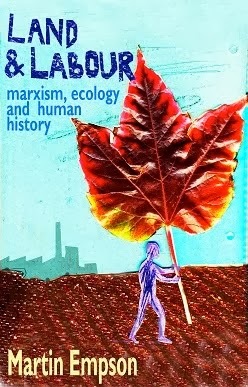 Navickas shows how we can trace different radical traditions through the overlapping of meeting places, neighbours and marches to build up a sense of a working class community developing traditions of struggle that are more than simply protests, strikes or marches taking place in different years. While Navickas' approach has its uses I found it sometimes a little frustrating. Part of the problem is that I don't think that the oppressed can easily (if at all) "reclaim a space" for their use while capitalist relations remain. An example of this is Navickas' discussion of how the "defeat of the bill of pains and penalties against [Queen] Caroline" was celebrated by the loyalists and authorities. She argues that the "rest of the population took the opportunity to reclaim the use of the streets for political symbolism in support of Caroline". These "highlight ritualised movements created a 'contested topography of political authority'. In the urban areas, support for Caroline was clearly marked out in light against the dark of entrenched loyalism". The problem is, of course, that the morning after the streets are still owned and controlled by the British state (or its local representatives). Any "reclaiming of the streets" by the masses is out of necessity a temporary thing whose longest standing outcome is the confidence of the movement. The temporary nature of space won can lead to the movement becoming solely about carving out its own spaces, rather than challenging the system. Navikas herself notes that this does take place with attempts to create permanent trade union buildings, mechanics institutes and the like. It is, essentially a type of reformism, and could be counterpoised to revolutionary attempts to permanently change things. That said, there is much of interest here. From Navikas' discussion of urban spaces and working class communities and movements to her analysis of rural struggles such as Captain Swing. Readable and fascinating, Katrina Navickas book might be particularly of interest to modern day activists and historians in the North (particularly Manchester) but I expect it will also become a much studied book for social historians trying to understand the historic struggles that have shaped, quite literally, the world we live and struggle in today.